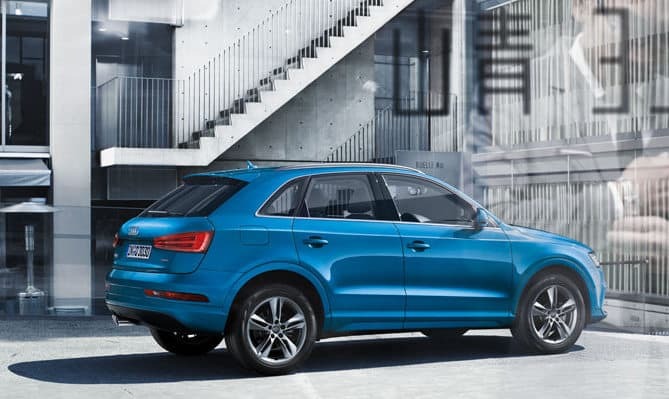 German premium automaker Audi has launched the petrol variant of its highly popular Audi Q3 in India, priced at Rs 32.20 lacs onwards (ex-showroom New Delhi). For this year, the new Q3 is the company's fourth offering in India which adds to the powertrain options of Q3 with 2.0 TDI FWD and TDI Quattro (AWD) already on the list. The new variant is currently the Audi India’s only SUV to feature a petrol engine option and comes at a perfect time when the Indian market has started favoring petrol powered vehicles. Talking about the petrol motor, it is a 1.4 liter four-cylinder TFSI (Turbocharged fuel stratified injection) unit taken from the new Audi A4, which churns out 150PS of power and peak torque of 250Nm. The engine is coupled with a 6-speed S-Tronic automatic transmission for driving the front wheels. Audi is not offering its Quattro all-wheel-drive system with this petrol variant and hence the power is solely sent to the front wheels. The car boasts of the ARAI (Automotive Research Association of India) acclaimed mileage of 16.9 Kmpl and can sprint from 0 to 100 kmph in just 8.9 seconds. In terms of styling and equipment, Audi has made no major distinctions between the petrol and diesel variants with this new trim getting the same standard features on the interior like Panoramic glass sunroof, 8.89cm TFT coloured screen for driver information system, HDD-based MMI Navigation, Deluxe 2 zone automatic air conditioning including sunlight-dependent climate control and Audi drive select with three modes- comfort, auto and dynamic. On the exterior, there are the LED Matrix headlamps with LED DRLs, 17-inch alloy wheels and a redesigned bumper like its diesel variant. 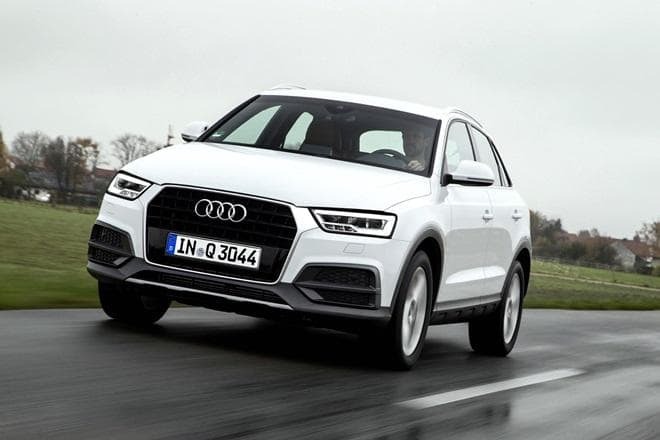 For ensuring the safety of the Q3's occupants, Audi has included 6 airbags, traction control, Parking System with Reverse Camera, ABS (Anti-lock Braking System), roll-over stabilization and hill start and descent assist. 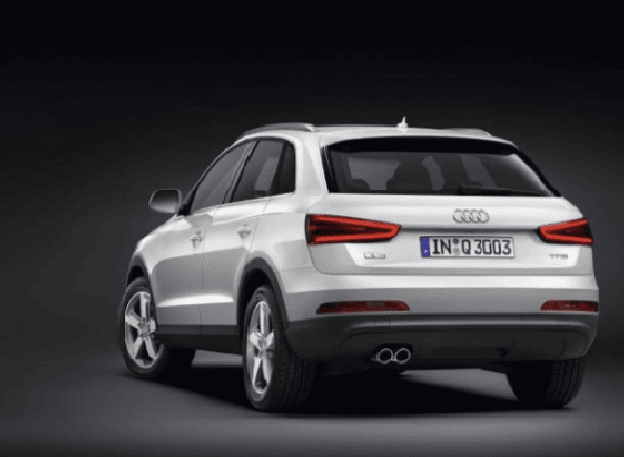 The Q3 is highly praised and is Audi's best-selling model in India. With the introduction of the petrol variant, the company is looking to further expand the options for a customer to choose from. The SUV is available for booking at all authorized Audi dealerships across the country.